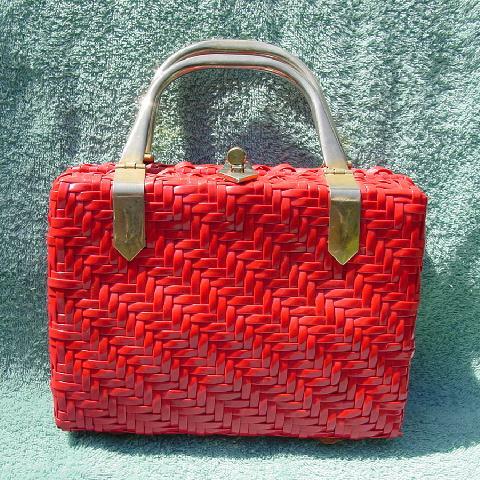 This vintage bright red faux straw (feels like a vinyl) purse was made in Hong Kong. It has 4 gold-tone little "feet" at the bottom. There are two 10" long tarnished gold-tone metal handles, attachments, and closure. 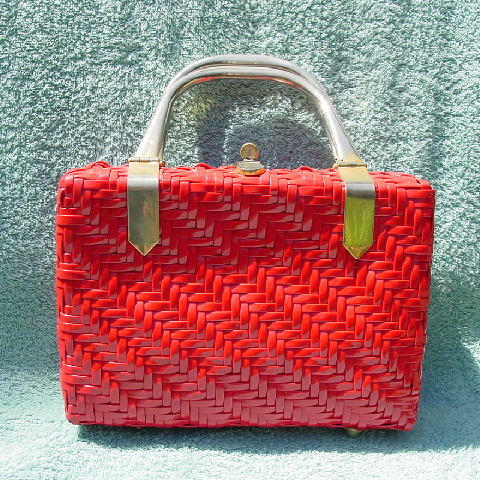 It has a white plastic/vinyl full lining with a red lined interior zippered compartment. Because of the metal handles, it has some weight to it. It's from a former California model who used it in the 1960s when she went on castings and when she went out socially.